Saw this while driving down the road the other day. A great reason to always have a camera with you! Man I would so love to buy that! Now that would be a toy for my husband and my son….. O.K me too. oh my goodness! How cool is that? Happy WW and thanks for stopping by this week. Who could possible buy that? So funny! Wow! 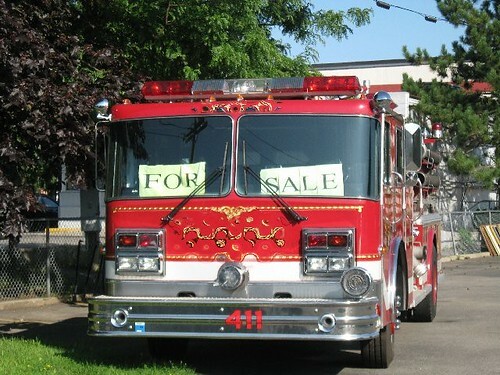 That town must really be hurting financially if they have to sell one of their fire trucks! Oh my!! I cannot even imagine. Who needs a fire engine? Too funny! !